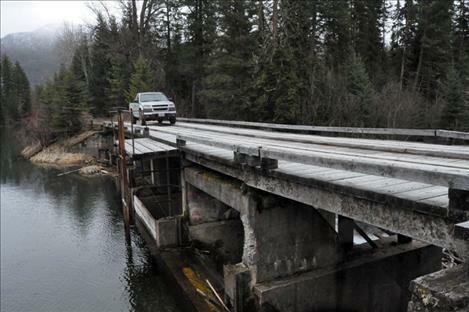 Irrigation headworks at the Pablo Feeder Canal are monitored by the Confederated Salish and Kootenai Tribes and could be impacted by a proposed water compact pending before the legislature. 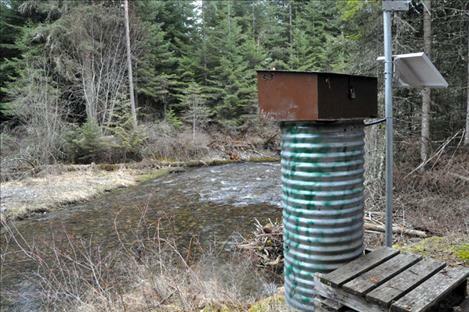 Each water monitoring site has an extensive handwritten file that contains troves of metadata. RONAN — The water slipping through the gates of a dilapidated, decades old, rickety irrigation headwork on the Pablo Feeder Canal on North Crow Creek drifts by with a quiet gurgle, and to the naked eye it might be hard to distinguish the infinitesimal differences in day-to-day water level, but to the hydrologists and hydrographers of the Confederated Salish and Kootenai Tribes, every drop is accounted for through a network of sensors and manpower. Since 1982 the tribes have been monitoring the stream and groundwater levels of approximately 300 sites in the Mission Valley, for a wide variety of purposes, including providing the scientific basis for a highly controversial water compact set for final debate in the state legislature this weekend. As the showdown nears, the department is confident its water calculations will be sufficient to meet the historic delivery demands of irrigators, contrary to a recently released privately commissioned report that tribal scientists say incorrectly tabulates water usage on the Flathead Indian Irrigation Project. 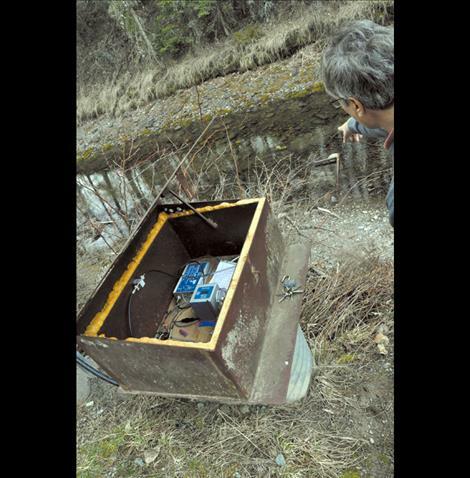 As Hydrologist Seth Makepeace stands on the banks of Pablo Feeder Canal, he can tell an onlooker exactly where the droplets have their origins, in the Jocko and Clearwater River in a valley more than an hour’s drive away. The irrigation project, built more than a century ago by the Bureau of Reclamation, is the largest managed by the Bureau of Indian Affairs in the United States, and is unique in that it is one of the few in the world that pulls from dozens of tiny streams to get water to farmers, instead of pulling from one major water source. 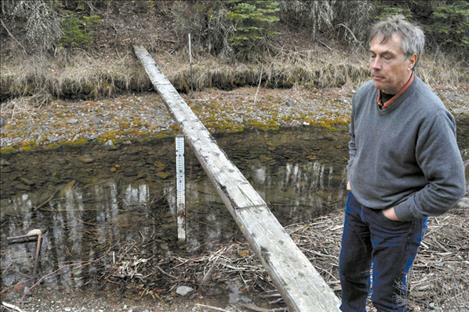 “Every single stream that comes out of the Mission Mountains is intercepted by the project,” Makepeace said. And the tribes spend hundreds of thousands of dollars each year monitoring exactly how much water is diverted, passes through the streambeds, and is delivered to irrigators. The Tribes haven’t always put value in monitoring streams. It was a battle to get the water department in place, according to Makepeace, and there are ongoing concerns with funding the department. Chief hydrographer George McCloud has been with the program since its inception. McCloud had been working for the United States Forest Service, where he received some training in hydrology when the Tribes were forming the department. He joined on as part of a two-man team. In those days, the technology in use was much less automated. McCloud was armed with a set of beeping headphones and had to manually count how many rotations were made by a cup pushed by water to get calculations. Over time, technology improved, and now the Tribes use a boat equipped with sonar equipment that uses sound waves to get highly accurate readings. In addition, a network of boxes with floats inside collect data that is now transferred in real-time to a satellite the Tribes can access. 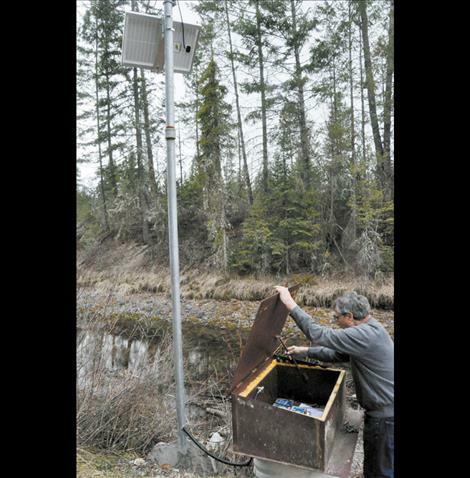 The Tribes hope to make the real-time readings accessible to the public one day soon. Some of the data is shared with the United States Geologic Survey already. In addition, the Tribes have one of the most extensive groundwater monitoring networks of any agency in Montana. The sensors and the fieldwork have culminated in a massive tome of data. Makepeace and other water staff can go into a database of the monitoring sites and instantaneously see a complete day-by-day water record that stretches back decades. 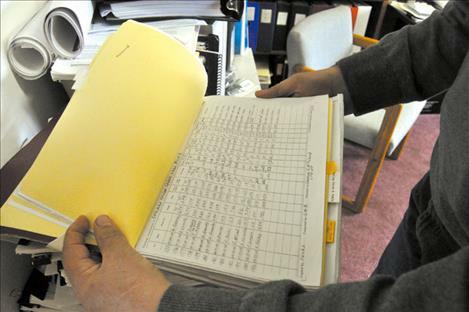 Each site also has a hand-written file of metadata compiled each year. 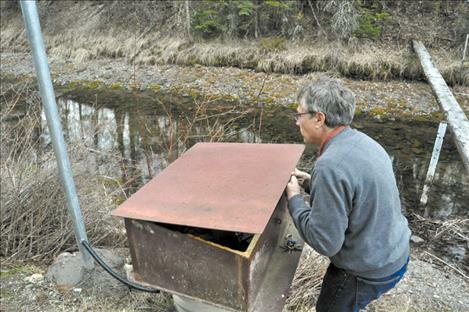 The data is used every day to make sure the irrigation project is meeting in-stream flow requirements to protect bull trout habitat, Makepeace said. The in-stream flows were set by court cases decades ago, and are interim levels that are expected to be adjusted by the United States Fish and Wildlife Service later this year. Makepeace said the irrigation project operators are legally responsible for making sure they are in compliance with the in-stream flows, but that project operators have never invested in the expensive measuring gear to ensure that happens. 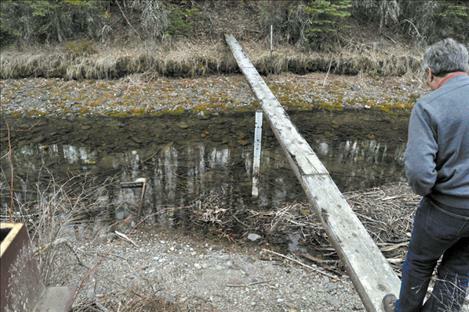 Instead, ditch riders and the tribal water department are in frequent communication about water levels, with all data being pulled from the tribes’ water network. When the Tribes, state, and federal government went into negotiations for the Confederated Salish and Kootenai Water Compact, all parties were provided with the scientific information, Makepeace said, although a breakdown in communication and filing of legal suits in the interim has resulted in the Tribes not sharing some of that data since then. When the first version of the compact was released in 2013, water allocated to the irrigation project was based on the tribes’ data that had been put into a sophisticated modeling system to allot water to individual farm turnouts based on averages for large swaths of land that utilize the canals and ditches. Though the model was approved twice through independent review and Makepeace was confident it would have provided adequate water, when re-negotiation of the compact commenced in 2014, the tribes agreed to go even further to make sure historic use would be met. Instead of relying on models, allocated water was equal to on-the-ground, real measurements of what was being turned into river diversions over a 20-year period in the driest of years. “We are confident in our data,” Makepeace said. But additional protective measures were put in place to make sure there was enough water to satisfy the Tribes’ in-stream flows and irrigator needs. Avenues to purchase water at a discounted rate were provided for irrigators and framework for an unbiased scientifically-trained adaptive management team was put into place to evaluate ways to make more water available. In addition, the compact would provide millions of dollars for improvements to the irrigation system, that would help prevent waste. As Makepeace stood at the Pablo Feeder Canal, he pointed to water slipping into the canal through leaky headworks, forming a small, but steady stream in the canal. 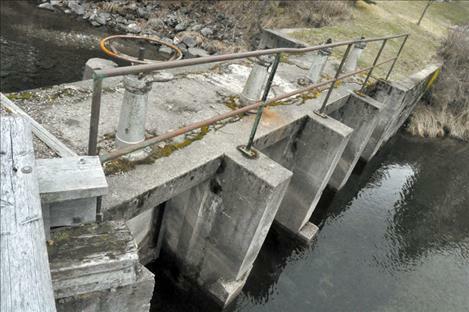 New infrastructure from the compact would help line canals and replace decades-old head works. Makepeace is confident the science behind the compact is sound, though a recent report commissioned by the Flathead Joint Board of Control claims that there won’t be enough water to go around if the agreement goes into place. Makepeace doesn’t take issue with the fieldwork behind the report, which measured crop water usage between 1989 and 1992 for 137 fields on 38 farms. Makepeace does take issue with Dutton’s interpretation of the data. The first major issue Makepeace has is that the report says irrigators applied up to 28 inches of water to crops. “In fact, the average of all applied irrigation measurements for all crop types for the 137 measured fields was 8.3 inches per season, and 80 percent of the 137 field irrigation measurements were less than 13.1 inches per season,” Makepeace wrote in an evaluation of the report. It appears Dutton got his numbers by adding rainfall measurements to numbers applied through irrigation, which inflates the figures of what is needed for agriculture to thrive and sets an unrealistic benchmark for how much water needs to be delivered through the irrigation project, Makepeace said. “Rainfall varies year to year,” Makepeace said. Dutton did not respond to calls inquiring about the numbers. Makepeace also takes issue with Dutton’s quantification of water that will be turned into the project. The Tribes did not use inches to quantify how much water is available in the compact, but have since tallied it up to make it understandable for laymen seeking to compare numbers. According to Makepeace, water turned into the Jocko Valley will be equivalent to 45.4 inches of water per irrigated acre. Mission Valley will receive 20.9 inches of water per irrigated acre, when including anticipated increased pumping that would be enacted through the compact. In the Little Bitterroot, irrigators are expected to receive 23.6 inches of water per irrigated acre. Makepeace said he is absolutely sure the 30 years of science behind the data is sound. “It’s a solid program,” he said.